The TWA B-747SP is here! 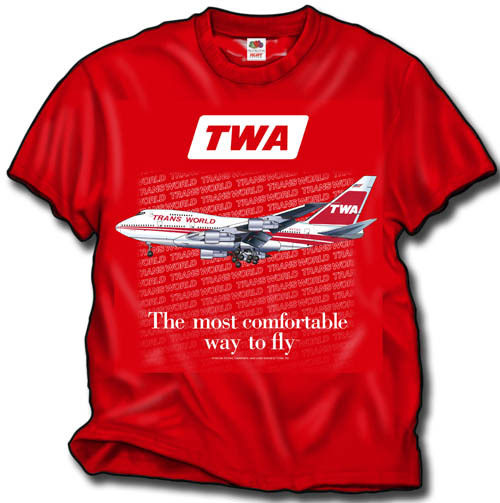 Flown on lesser volume routes such as Boston to Europe, the SP was TWA's baby Jumbo! On the front of a 100% cotton red shirt, with a highly detailed 747SP.